As the year comes to a close, it is inevitable that we reflect on what we have done and what has been happening in the world. 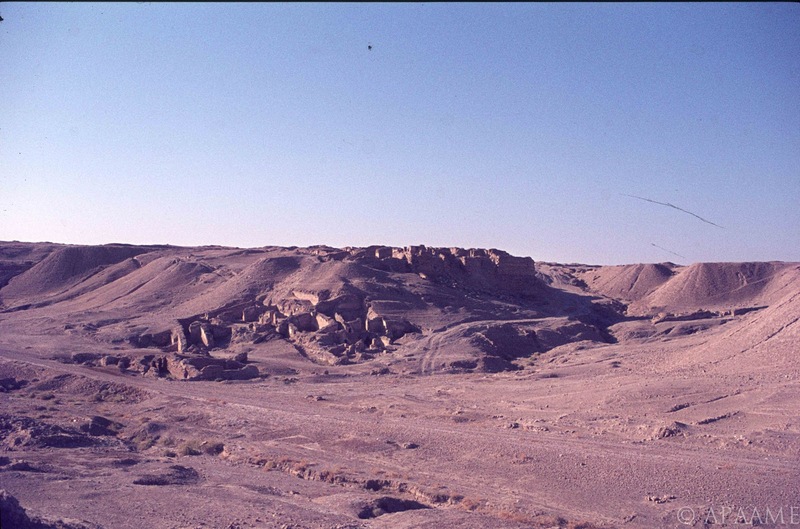 I have been scanning slides from the late 1970s… a lot of slides, of archaeological sites in the Middle East. Most were taken by David K at a time when sites were often in better condition or not yet overgrown by developing villages and towns, so archaeological artefacts in their own right. 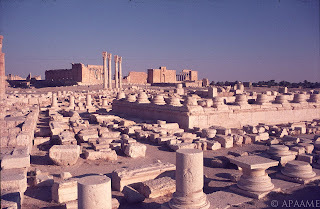 While scanning these slides I continually came across evidence of the beautiful archaeological record of Syria, and in the news I daily come across reports of conflict that increasingly and unavoidably is affecting these archaeological sites, whether they are caught in the crossfire or directly targeted by looting. So, I thought it best to share some of these digitised slides with you and take you to sites that we may not be able to protect now, or visit in the near future, but of which we can hope to preserve evidence and knowledge. South west church, Deir Semaan. 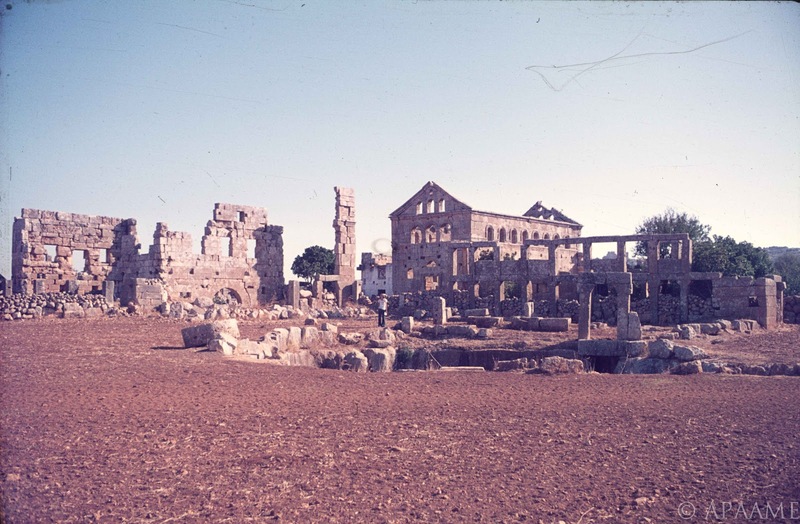 Deir Semaan (Saint Symeon Monastery or Telanissos) is one of many ruined villages, known collectively as the 'Dead Cities' on the limestone massif west of Aleppo in Syria’s north. These late Roman villages are extraordinarily well preserved, buildings sometimes surviving to two and three stories high, and allowing a superb insight into late Roman town life. These magnificent ruins however have suffered in the crossfire, and also through looting. 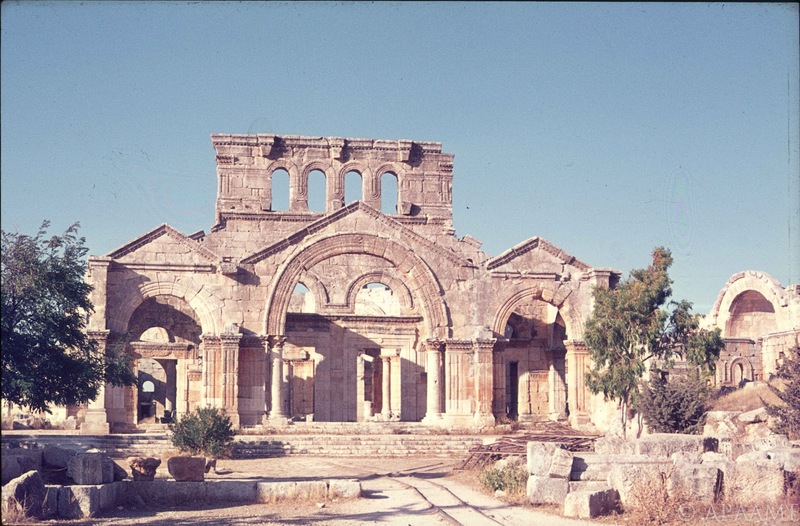 This short article on the research of Emma Cunliffe, Durham University, includes a witness’s video recording damage to one of these sites, and reports have emerged that the Monastery of Saint Symeon has been damaged by shelling. Link. Temple of Nebo in foreground with the great temenos of the Temple of Bel in background, Palmyra. Palmyra is one of the best-known ancient sites in Syria. The city flourished due to its profitable position between the west and east, and became a major Roman city in the 2nd and 3rd centuries AD. Built around an oasis in the middle of the desert, the grandeur and preservation of the site is all the more marked due to its isolation, and it has been a favourite of tourists since the 19th century. 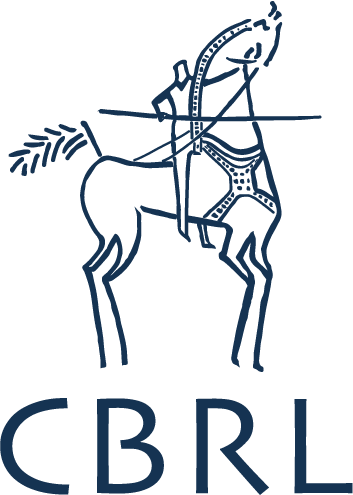 A report on the Global Heritage Fund blog details how the site has become caught in the crossfire and is a target for looting. http://globalheritagefund.org/onthewire/blog/palmyras_ruins. West wall of Halebiyeh looking east from the citadel towards the Euphrates River. 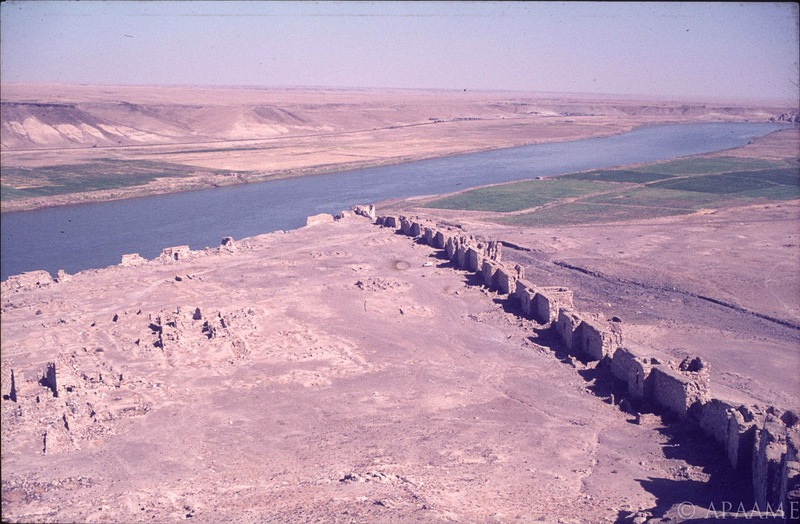 Halebiyeh, or Zenobia, is located on the banks of the Euphrates. The walls extending out from the Citadel of an immense Late Roman fortress city are the most prominent feature of this beautifully preserved site. The astonishing scale and quality of preservation can be gauged by noting David’s white LWB Landover (inside of the city wall in the centre of picture) (cf. D. L. Kennedy and D. N. Riley, Rome’s Desert Frontier from the Air, London (Batsford)). Section C3 of Dura Europos. 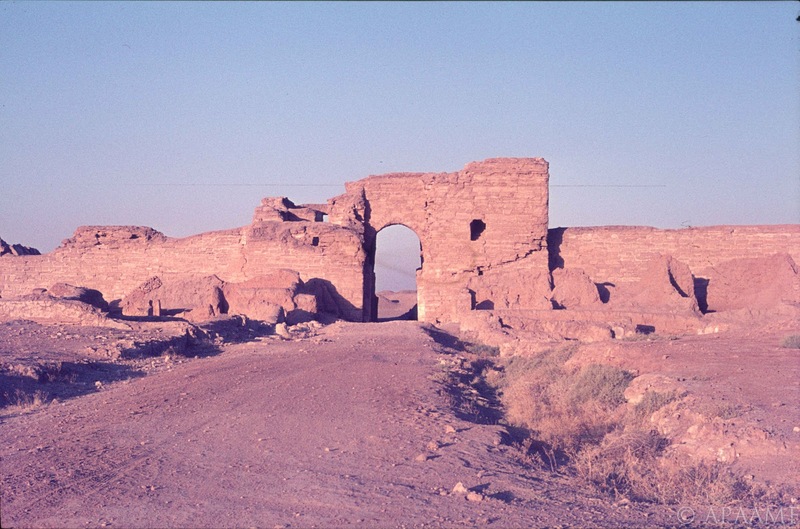 Dura Europos, also on the banks of the Euphrates River, was preserved in sand until its excavation during the interwar period, prompted by the discovery of remarkably preserved frescos. Even more important was the discovery of a huge cache of papyri which included the largest single collection of papyri for the Roman army anywhere in the Empire, including Egypt. 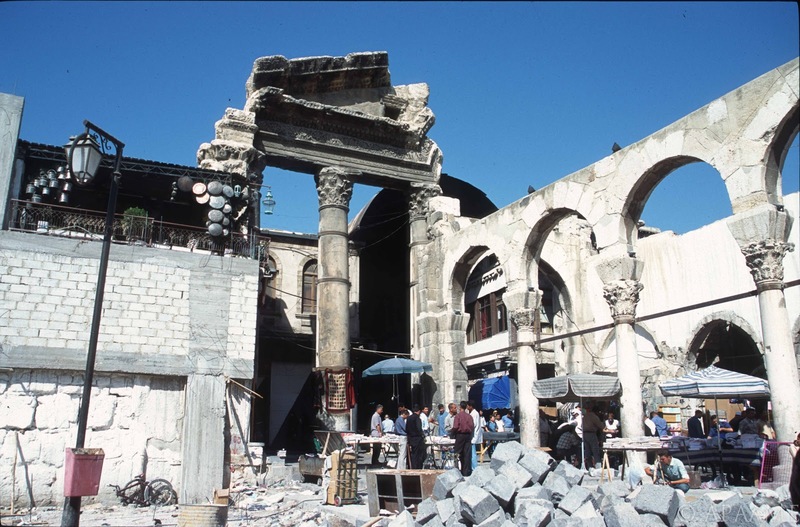 The Tetrapylon at Damascus, located at one end of Souk al-Hamidiyeh to the west of the Umayyad Mosque in the city centre. General view (north) of Bostra. 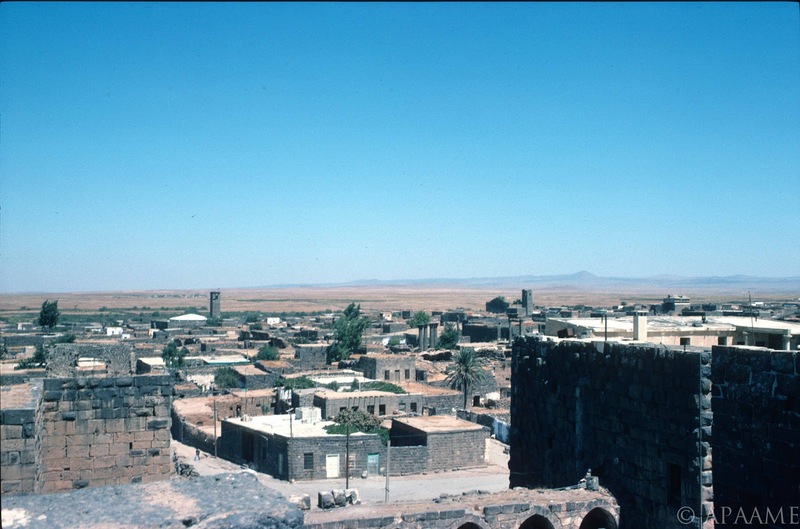 Bostra is in the south of Syria in a region known as the Hauran – a fertile semi-arid landscape on the edge of ancient lava-flows. It was the northern-most city of the Nabataean kingdom that stretched down through its capital at Petra into north-western Saudi Arabia. Nabataea was incorporated into the Roman Empire with Bostra as the capital of the new province of Arabia under Trajan in AD 106. 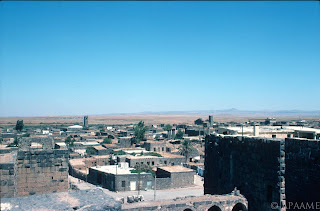 The site is perhaps best known for its Roman theatre built from black basalt rock, but the ruins of the ancient city are also well preserved amongst the streets of the modern town, with towers in some cases standing over two stories high. The town has been damaged by shelling this year. 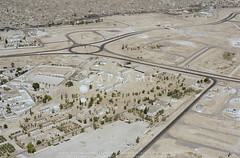 All photographs are © David L. Kennedy and belong to the Aerial Photographic Archive for Archaeology in the Middle East. After the slide collection is catalogued it will be available online at our Flickr archive: link. I would like to thank David for looking over this blog, and for his continual remarks and encouragement while I develop the APAAME digital collection. Any remaining errors are wholly my own. Aryn Baker & Majdal Anjar, Syria’s Looted Past: how ancient artefacts are being traded for guns, Time World Sept 12 2012. 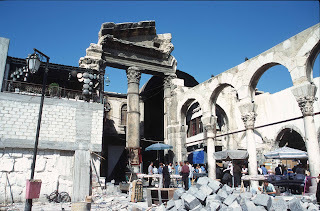 Emma Cunliffe, No World Heritage Site Safe in Syria, Global Heritage Network Blog, Nov 19 2012. Guys, recommend you to examine this page to learn everything about nursing schools in America.